What’s the point of having hi-fi as a hobby if you let someone else tell you how your hi-fi system sounds? Very much agree with this statement. Get yourself some brilliant pebbles and tell me you can't hear a difference!! I think that it was on comp.dsp. I'll see if I can find it, but it's been a while. Well, I checked my archive of comp.dsp posts, and didn't find it there. I now suspect that it was one of the Internet forums, like Audio Asylum, Audio Circle, diyAudio, Hydrogenaudio, etc., which means that it will be really hard to find. Sorry. Major fail. I attach mine with blue painters tape. Sounds much better. The test should involve only natural music (i.e., no electronically produced or altered music). There is no way to determine how electronically produced and/or altered music should sound. (What’s the benchmark for how a synthesizer should sound? What’s the benchmark for intentionally distorted music?) In contrast, people who regularly attend live concerts where there is no use of electronics (i.e., no electronic instruments, and no sound reinforcement system) know how “natural instruments” should sound, such as a violin, oboe, trumpet, etc. If you want a really useful test, have a live string quartet play, and alternate with recordings. The test must employ a high-quality state-of-the art universal player that can play all types of hi-res recordings. The test must employ high-quality state-of-the art full-range speakers. Presumably Klipsch. The listening venue must be quiet, and have acoustics that are appropriate for the music. There should be different listening sessions for people who listen to different genres. For example, one listening session for classical music. A separate session for jazz. A separate session for big-band. Etc. (People should not be forced to listen to music they dislike.) The tests should allow listeners to listen at length to recordings that they are familiar with. The tests should involve a relaxed environment. Holy smokes, that’s quite a few pre-conditions. What strikes me about your list is that those who regularly wax on about how this brand sounds better than that brand NEVER include a list of caveats like this. And why include live string musicians? I'm not suggesting that people can't reliably distinguish b/w recorded music and live. As to your first question, why not tube amps? Because most Tube amps are not, by design, low distortion devices. They add distortion which, while pleasing to some, is not necessarily faithful to the original signal. This comment is tricky. You're pointing to a straw man here. I am NOT telling people how their hifi should sound - to each their own.. I'm pointing to PWK's BS button when audiophiles make unsubstantiated claims. I'm not telling people how there rigs should sound. I'm telling them to be skeptical of claims people make about what sounds better than what. I don’t think that the preconditions I suggested for a hi-fi listening test are unreasonable. (Based on my perspective.) I’m saying: Let all amps compete. You’re proposing to restrict the test to amps that are “modern”, “linear”, and “are engineered for low distortion across the hearing band and maintain that low distortion while driving the speakers (let's Khorns [sic] ) to the desired volume”. While your proposed test may be of interest to academicians, I fail to see how most music lovers would care. Why should a music lover care if an amp is “linear”, if they don’t enjoy listening to music through that amp (when paired with a particular speaker)? To me – and many music lovers – it is more important that an amp/speaker pairing be “musical”, vs. an amp being “linear” (or excel at any other technical specification). If Klipschorn are used for a listening test – as you’ve suggested - this opens up the range of amps that the consumer could choose from, because Klipschorn require relatively little power. Why not allow the consumer to hear a single-ended-triode vacuum tube amp? Why not allow a single-ended-pentode amp in the test? Why not a push-pull 7189 amp? A push-pull 6L6GC amp? In addition to solid-state amps that have differing designs. What value is there for the consumer if a proposed listening test severely restricts their choices – and specifically excludes amps that many audiophiles find to be musically enjoyable? I suggested that the test should use top quality recordings. Why is that an unreasonable precondition? It seems to me that most people wouldn’t hear – and/or wouldn’t care about – differences in sound quality if poor quality recordings are used. I suggested that the test should involve “natural” music (e.g., classical music), because – as a classical music lover - I believe that the goal for a hi-fi system is to create the illusion that the listener is hearing a live performance. Those of us who listen to “natural” music know how a live performance should sound - i.e., natural instruments (e.g., violins) performing live in the intended venue, with no electronics involved. That’s why I suggested that the listening sessions should include live music (e.g., string quartet) – i.e., to remind the listener of how the “real thing” sounds. As I’ve said before, I respect the fact that different people like different music, and each consumer must define their goals for their hi-fi system. With that said, because recordings of “natural” music have a relatively clear benchmark for sound quality, I think that “natural” music is particularly well suited for listening tests for hi-fi systems. I also think that distortions are inevitable in reproduced music, and I prefer distortions to sound pleasant vs. unpleasant. During a listening test, why should the classical music fan not be able to consider whether a tube amp results in the most natural sound – and the most pleasant sound to their ears? 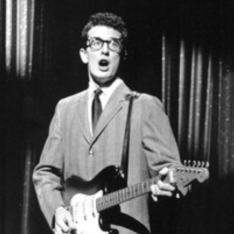 OTOH, for a lot of popular music, there never was a live performance, and/or the sound was electronically altered – so it seems to me that the benchmark isn’t as clear for how some pop music “should” sound. It seems to me that if the listener has no benchmark for how the music should sound, they should simply pick whichever hi-fi configuration (e.g., amp/speaker combination) sounds best to them. (Which I think is perfectly OK.) During a listening test, why should the rock music fan not be able to consider whether a tube amp sounds “better” than a solid-state amp - to their ears? Those who want the sound from their hi-fi to sound like what they remember hearing in the symphony hall or opera house. For classical music, the “work of art” is the live performance, not the recording. Those who rely on some technical specifications and measurements to theoretically create an “accurate” playback system. Adherents to this school of thought apparently argue/hope/wish/assume that they’re hearing what the recording engineers and producers wanted them to hear. Apparently for some pop music there never was a live performance. The recording engineers and producers used hardware and software tools to create the final “song” – and therefore only the recording engineers know how the “song” sounded on their studio monitors. In this case – the “work of art” is the recording. The consumer has no basis for knowing how the electronically manipulated song is “supposed” to sound. (Were the studio monitors “flat”? If not, does the record company publish an EQ curve for each recording so that the consumer can achieve the “studio monitor sound” in their home?) Therefore, unless the consumer installs in their home the same monitors and amp used in the recording studio, the consumer is left to guess what the song is “supposed” to sound like – and left to rely on technical specs for their hi-fi system. Or, simply choose a hi-fi system that sounds “good” – which I think is the sensible approach for pop music. For at least some pop music, it seems to me that the idea of “accurate reproduction” is nonsense. Why not design a listening test that enables fans of popular music to decide which amp/speaker pair sounds good to them? My position: As I’ve said in another post, I don’t give a rat’s patootie what the recording engineers want. For the classical music I love, the recording engineers are not the artists. Their job IMO is to do as little harm as possible in faithfully capturing the sound of the live orchestra. The artists are the composer, conductor, and musicians. I want the sound from my hi-fi system to sound like a live classical performance. Is my approach perfect? No approach to sound reproduction is perfect. My memory isn’t perfect. With that said, I attend more than 20 live classical concerts each year (symphony, opera, chamber music), and I have a pretty good memory of how this music sounds when performed live in its intended venue, where no electronics are employed (i.e., no electronic instruments, and no sound reinforcement system). I want to get as close as I can to that sound via my hi-fi system, and I want inevitable distortions or colorations to sound pleasant vs. unpleasant. IME (more than 45 years as a hi-fi hobbyist and music lover) the pairing of an amp and speakers is one of the most important factors in the sound quality of a hi-fi system. I’m a Klipsch fan … however … let’s be candid … Klipsch speakers can be a bit “bright”. 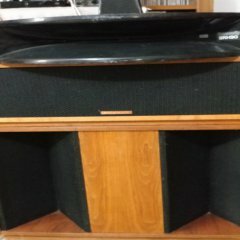 Pairing Klipsch speakers with an amp that is “linear” makes less sense to me, compared with pairing Klipsch with an amp that results in good sound quality. Why should the consumer care about a test that is rigged to try to show that a subset of amps (i.e., amps that are “modern” and “linear” and solid-state, etc.) sound similar? Why should a consumer care about such a subset of amps at all, if they haven’t yet discovered whether such amps are the most musically engaging for their music, using their speakers, and their ears/brain? I believe that the goal of a consumer-oriented listening test should be to equip the consumer to decide which hi-fi system sounds best to their ears. I don’t think that anyone has suggested that the differences in sound quality of amplifiers is “dramatic” (i.e., “anyone not deaf should be able to hear them”). IMO the differences in sound quality of amplifiers might not be immediately apparent – or meaningful – if listening to a crappy recording of deliberately distorted music. (Or listening in a noisy environment.) However, as someone else pointed out, subtle differences in sound quality can make the difference between being mesmerized by the music being reproduced in the home, or being left cold. As I’ve said before, this is a hobbyist discussion forum, and it’s not unreasonable that the reader might consider something other than the amps that they can buy at their local big-box store. (Different advice would be relevant for John Q. Public vs. a hobbyist.) Anyone who has read this forum (and other hi-fi forums) knows that many experienced hi-fi enthusiasts prefer the sound quality of one type of tube amp, or another. 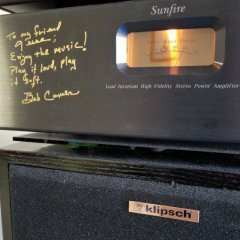 Why dismiss the wide range of options available via tube amps – particularly for Klipsch speakers? Why not let the music-lover consider all types of amps during a listening test? Stay away from audio clubs. You like Tubes, which is fine but they add distortion. You may find the distortion to be pleasing - which is your prerogative of course - but most audiophiles want a system that neither adds or detracts from the recording. I think if you were to ask most people about their preference, they'd say they want a system that is faithful to the incoming signal, not one that accentuates certain frequency regions, etc.. I'm guessing this is why the vast majority of audio and home theater gear is S/S. As to the other proposed caveats and inclusions.... My problem with what you are proposing is that it would be incredibly complicated to pull off, and not necessary. Most audiophiles insist that most $3000 boutiquey S/S amps sounds different (never mind better) than most $250 mass produced AVRs. I say, let the "differences are audible" crowd stack the deck in their favor by allowing them to pick two Amp/Pre combos or integrateds which have the reputation for being SO very very different that no one could ever mistake one for the other!! For example, a $7000 McIntosh (with autoformers, no less) compared to a $240 entry-level Onkyo integrated amp, receiver or AVR. ..Or maybe an inexpensive $300 Yamaha integrated compared to a $5000 separates (pre/ power amp) from Bryston. Or a $130 AudioSource AMP-100 compared to a $20000 Mark Levinson Pre/Power amp combo. All of these components have F/R, THD, S/N ratios, etc.. that exceed the threshold of our hearing, so they easily meet the criteria of being modern/ linear. And if you choose Klipschorns, there's no doubt that ALL have enough power to drive the speakers to modest SPL levels. I would guess that 99% of audiophiles who believe in audible differences b/w modern amps would say they differences b/w these proposed comparisons will be childs play to reliably discern. And I would love to see the surprise on their face when after the first switch from Amp A to Amp B they realize, "wow!! this will not be so easy!" Behringer amps are don't appear to be robust enough for road work and/or sustained high output -- but for home use, they are probably a better choice than an entry level receiver with a weak power supply section. If a QSC PLX knockoff, that would be quite an accomplishment at the prices they are offered at. I think the PLX stuff sounds outstanding. Horn user should have attenuation controls on the front end of their amplifiers. The A500 Reference amp, at $199 represents a great value in amplfiers to drive any kind of home speaker. Plus it has power meters that barely light up with all horn systems, but tell you when you are clipping for Heresy's or Cornwalls at stupid loud levels. Personally I prefer the $25 chinese made Class D stereo amps that use a 19 Volt laptop Power supply and are based on the Texas Instruments chips, like I'm using on my Jubilees. Those have gain controls too. The represent the ultimate F.U. to the world of expensive electronics and prove that excellent sounding electronics can be had at a VERY low price. Roy Delgado (Chief Bonehead) used a $39 DVD player to play his reference CD's for Jubilee Demos. Expensive horns don't need expensive electronics to sound great. Horns RULE. Welcome to the world of Klipsch horns!! Lemonstring had a GTG a couple years ago and a couple guys brought different amps and speakers. I was in the kitchen when @opusk2k9 switched out the amp playing for a pair of MC-30s. I looked at the guys and said those are the 30s. It was an immediate difference in sound. Night and day, there is definitely a difference between SS and tubes. I used to think that most amps sound the same until I got my first set of of high sensitivity speakers (Quartets). Since then, My preference has moved towards low output single ended amps, mostly tube based, but some solid state. I now use 1976 La Scalas as my primary speakers. 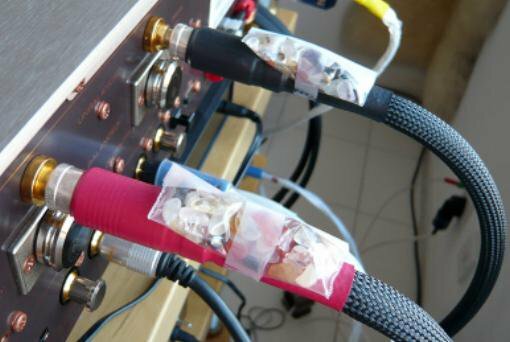 I have built many different DIY tube amps since then. Every time I finish a new one, I want it to be the best one I’ve ever made. That is often not the case. I sold a bunch of them because of having an obvious preference for certain ones over others. None of this process has been scientific in the least. I listen to my favourite music, and switch out the amps once in a while for a different one. In my limited subjective experience, SET amps sound more like real musicians playing music in front of me than other amps. My HT receiver is too noisy for critical listening. All of the T amps I own sound a bit flat and lifeless. My solid state Class A amps, a pair of Amp Camp Amps and a DIY Aleph J are almost as good sounding as my best SET amps, and the 25 watts per channel of the Aleph J comes in handy sometimes. They all sound a bit different, but the differences for me are more about perceived realism and noise levels than anything else. The other notable difference is in bass response. Some of my SET amps have good bass response, but none can compare to a high power SS amp. This alone would disqualify the SET amps for many people, but for me the realism of the rest of the spectrum takes priority. Using low sensitivity direct radiator speakers for comparisons instead of high sensitivity horn speakers flattens the curve drastically. Comparing amps on 86 DB/W/M direct radiator speakers is going to be much more difficult because these types of speakers necessitate using much more than the first watt for listening, thus flattening the differences between amps. Also, the lack of dynamics, at least in the DR speakers that I can afford, kills the enjoyment for me. Adding stages to the chain, specifically a preamp, has always worsened perceived realism in my experience. My high efficiency horn speaker/SET amp path is a narrow and precarious one. It’s annoying sometimes and very limiting with respect to choices. Especially speaker choices. However, I am the very happy owner of a pair of fantastic horn driven speakers, my La Scalas, because of it. To summarize, in my opinion, you can’t really compare amps without including the speakers being used as a part of the equation, and 105 DB/W/M all horn speakers will tell you much more about the differences than 86 DB/W/M direct radiator speakers will. In the custom design/build world we always start with the speakers and work backwards. It is the only way to ensure proper synergy between amp and speakers. OK, you're absolutely right. Everyone in the kitchen snapped their heads when he hooked it up. I knew what it was right away since I had 3 of them before. I still regret selling them. I have always started with speakers and then worked with other components. I can hear a difference but it has always been something of an incremental improvement. My wife can’t really hear much difference between anything other than tweeters that are too hot. Shreiky to use her term.